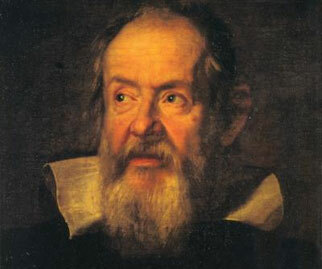 Galileo was born in Italy around 500 years ago (in 1564). He was far cleverer than almost everyone he knew and he had a cat’s curiosity for knowledge. Galileo was a polymath. That means he knew about many different things. For example, he knew about maths, physics, philosophy and astronomy (told you he was CLEVER). Galileo followed his knowledge where it led him (into hot water or not). He is often called ‘the father of modern science’ because he recognised the value of doing experiments as a way to discover how nature works. He built gadgets to help him to answer scientific questions such as compasses, thermometers, the pendulum and most importantly, telescopes. Through a telescope, Galileo was able to see the moon and planets in far more detail than anyone could with the naked eye. 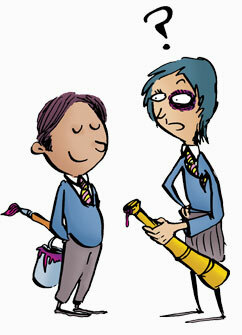 What he saw through his wonderful telescope inspired him to make his most famous announcement. He announced that in his view, the Earth is not at the centre of the Universe. The news caused quite a stir! Galileo wasn’t the first astronomer to suggest that the Earth revolves around the Sun. Another astronomer called Copernicus, working in Poland, had already put this forward as a theory. 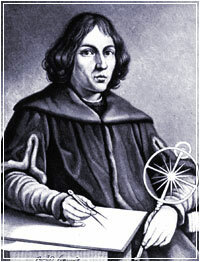 The way Copernicus presented his theory was so complicated that very few people read his book. 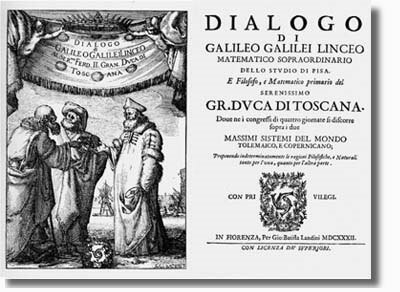 But Galileo presented the idea in ways that everyone could understand. Why did this cause such a stir? The Catholic Church was a powerful force in Galileo’s day and Galileo knew he needed clear evidence to convince the Church to to change from one theory about the design of the Universe to another. The theory that the Church backed at the time was that the Earth is at the centre of Creation. It was a view which seemed to fit with the observational evidence and it also seemed to fit with the way that Scripture describes the Universe we live in. This presented Galileo with two challenges – firstly, did he have the scientific evidence needed to show that the ‘old view’ couldn’t be right? Secondly, what does the Bible say – if anything – about which view religious people should believe? Let’s start with the science. Galileo’s reason for rejecting the Earth-centred view was this: Through his telescope he noticed that there are moons moving around Jupiter. In the Earth-centred view, this shouldn’t be happening. Everyone believed that if a planet moved then it would not be able to have a moon. Surely the moon would be left behind, they said. So, there’s a puzzle – Jupiter is moving (that was plain to see) and according to Galileo, it had moons going around it. This meant, said Galileo, that the Earth CAN move and ALSO have a moon orbiting it. The officials of the Church were surprised; everyone was surprised! An advisor to the Church suggested getting the observation checked out. Back came the result – yes, Galileo was right. This, however, was not enough to settle the matter. Everyone could see now that Jupiter had moons. Why should they believe that the Earth is also moving through space? 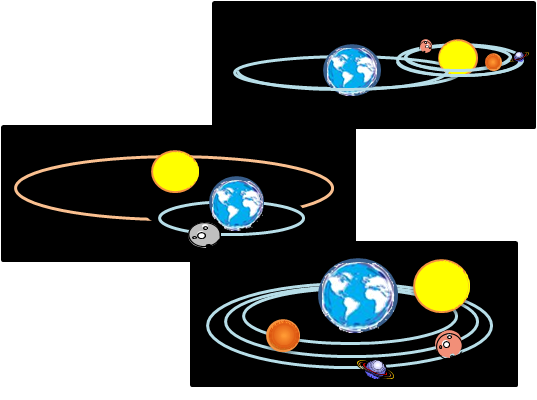 What Galileo needed was firm evidence to show that the Earth is moving around the Sun. It was looking tricky. Galileo did have another clue, and this time it related to Venus. 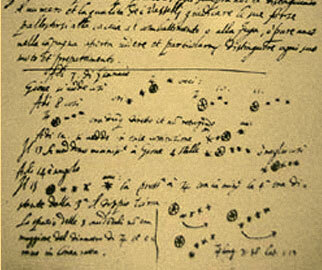 Galileo noticed that Venus seemed to have phases. In other words, Venus seemed to change shape – going from a crescent to a full circle and back to a crescent. That’s what you’d expect to see if a planet is orbiting around the Sun. Was this enough? The Church decided that the case was still not strong enough, at least for the time being. That was because the observation also fitted with a theory put forward by another astronomer, Tycho Brahe. His theory went like this: the Earth is in the centre of the universe and the Sun revolves around the Earth. All the other planets go round the Sun – which as you remember, is going around the Earth. Here are three models of the universe. Which one represents the model that Galileo proposed? Which one represents the model by Tycho Brahe? What about the other challenge – the challenge of what the Bible tells us to believe? Galileo thought deeply about how his findings and ideas fitted with Scripture’s descriptions of Heaven and Earth. In his view, it was silly to expect the Bible to tell us how the planets move. He argued that scripture is not about things we can work out for ourselves (like whether the Sun is at the centre of the solar system). It’s about ideas that can only come from God. He said, God has given us senses and brains so that we can study nature and discover how it works. Why would He give us a cheat-sheet in the Bible with all the answers already there? Galileo decided to go ahead and tell everyone that his theory was right. The officials of the Church, unsurprisingly, were not happy. Galileo was influential. People respected him – they knew he was clever. Galileo was ordered to keep his ideas to himself until and unless the Church agreed to change its position. Galileo crumbled under pressure and agreed not to say anything more in public about a Sun-centred Universe. Before long, however, Galileo was once again talking about and writing about his exciting new ideas. In 1633 Galileo was put on trial for disobeying the Church’s instructions to keep his ideas to himself. He was found guilty and spent the rest of his life under house-arrest, in his home outside Florence. There, he spent his time writing one of the most famous books ever written about science, a book he called The Discourses and Mathematical Demonstrations Relating to Two New Sciences, phew that’s quite a mouthful! Galileo died at home, eight years after his imprisonment began. In 1992, the head of the Catholic Church, Pope John Paul II said that the Church had made a mistake in condemning Galileo. Now the Church tries to take a very different approach to science. It funds an observatory called The Vatican Observatory. Here scientists and astronomers do research and keep the Church up to date with what science is telling us. Quick link to the next page: What’s the point of God in science?